Ryder Cup vice captain Padraig Harrington says the European Team are underdogs for the competition at Le Golf National in Paris. 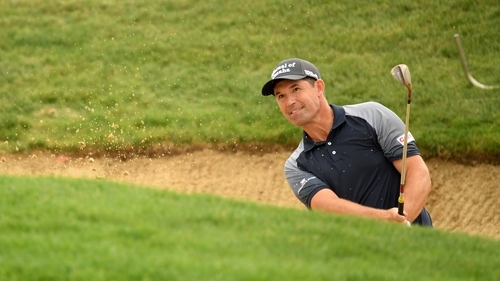 "If it was three or four months ago we were looking better than the US," Harrington told RTÉ's Saturday Sport. "But the US have come on very strong in the last couple of months, they have hit form and their players have come good. "Tiger [Woods] has hit form, the team has strengthened coming towards the Ryder Cup and we are the underdogs." "There is going to be a lot of talk about selection, four picks is a lot. If it was up to me I’d probably let nine or ten players qualify automatically, and have less picks. "With four picks It’s a difficult decision, there are a lot of options, no matter who you come up with, someone is going to second guess the choice. "What you tend to find from being on the inside is people haven’t seen the bigger picture, having talked through all the different scenarios that are involved. "The effect a pick will have on the players who have already qualified, whether you are going to play that player Friday morning, with the potential of playing them five times in a week. "Is a player potentially number one going out on a Sunday," added Harrington. Rafa Cabrera-Bello was not one of Bjorn’s four captain’s picks, instead he opted for Sergio Garcia, Paul Casey, Henrik Stenson and Ian Poulter. Harrington said: "Rafa will go about his business and do his thing and is a fine player and is no doubt in the top 12 players in Europe nobody is saying he is not, he has proved that but we needed something else for the team. "We needed to compliment the guys who had already qualified."